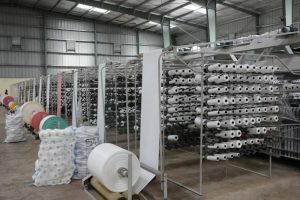 In what may be termed as the ‘Magulification’ effects, industrial owners and investors in Tanzania have commended the great support from President John Magufuli and his government towards implementing the industrialization economy policy in Tanzania. It should be noted that President Magufuli’s speech during the inauguration of the new Parliament at the end of 2015 stressed that industrialization will be a key priority to the government. He promised to encourage industries, producing goods for mass consumption, such as clothes, textiles and edibles. Speaking to the media this week, the Chairperson of Industry Owners in Tanzania and the Director of Sayona Drinks Limited, Subhash Patel said President’s Magufuli’s policy on industrial economy has shown great success over the past three years particularly his anti corruption drive. “More than 3600 industries have been on construction over the past three years. This is a result of the big and endless campaign of President Magufuli on the industrialization economy and ensuring less bureaucracy. We congratulate him for showing us the way and the campaign is bearing fruits”, he said. Mr Patel said the USD 53 million Sayona Drinks Limited industries that took almost two years to be constructed from 2016 to 2018 has employed directly more than 450 Tanzanians. On his part, the Manager for the newly installed Global Packaging (T) Limited that has reduced the country’s foreign reliance on packaging tools, Mr. Hatib Njuwila, expressed satisfaction with Tanzania’s industrial policy. 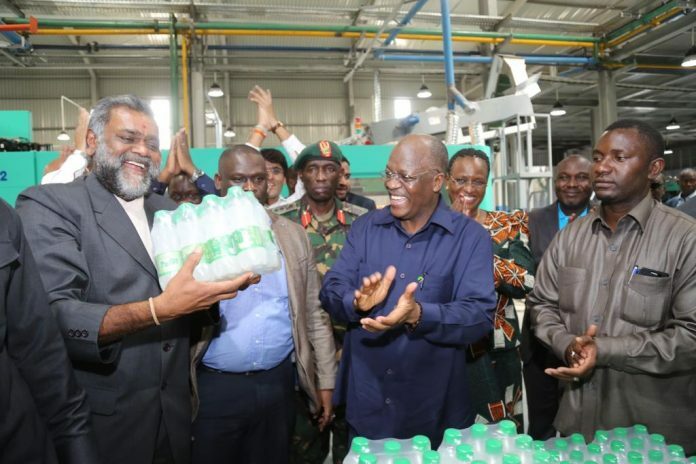 “We felt honoured to have His Excellence, Dr. John Pombe Magufuli, the President of the United Republic of Tanzania, visit us here last year and inaugurated our factory.” He adds that the President’s gesture to inaugurate some industries himself means a lot to building investors’ confidence.